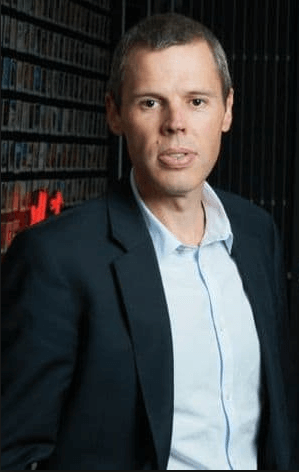 Tabcorp has been going through internal restructuring and has recently hired the Marketing General Manager at Sportsbet, Luke Waldren. Waldren will be taking the position of Executive General Manager (EGM) of customer and marketing. He will also be part of the wagering and media team at the company. This team will be one of the three teams that the gambling operator has created – the other two being gaming services and lotteries and keno. Each of the teams will be responsible for their marketing. The decision to reshuffle came after the Tatts and Tabcorp merger that took place in December last year. As we have mentioned, Mr Waldren was working at the rival company Sportsbet before the recent appointment. He has also worked at Grey owned by WPP as the CEO and at Ogilvy as the managing director. During the time Waldren worked at Sportsbet, there were advertisements that many people complained about. First is the ad that made it onto the top 10 complained about ads where it landed on number 1 for the most complains. The ad features former Canadian Olympic gold medalist Ben Johnson who is now known as a disgraced sprinter and other sports cheat lookalikes. It was considered to be “utterly inappropriate” by the Australian government. Another advert that receives backlash was the ‘naked shave’ ad, which was ultimately banned by the Advertising Standards Board. The controversy with this ad was that it featured a naked man who was shown from the waist up ‘manscaping’. It was considered to be offensive and disturbing. Mr Waldren is not the only person who will be joining Tabcorp. He will be joined by Dan Pearce, former CEO of Australian Turf, and Andy Wright, former Trading Director at Ladbrokes. Dan Pearce will take the position of EGM for the media and international team while Andy Wright will be the EGM of the wagering team.